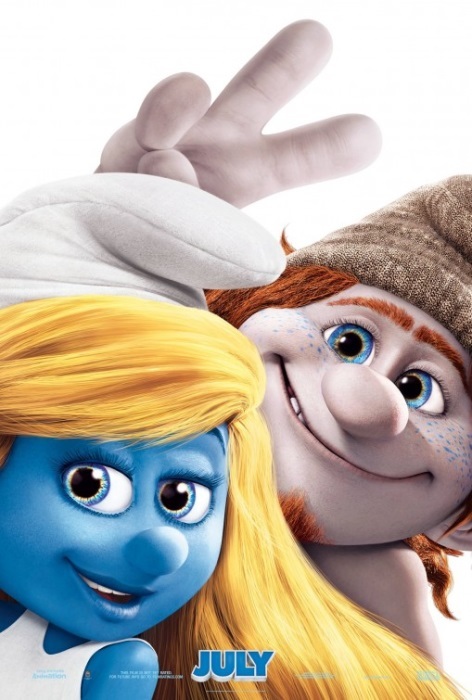 We see pictures featuring the traditional cartoons of different Smurf characters. There is a short clip showing Gargamel and Azrael falling back into their house after the spell wears off. Azrael growls and shows his claws at Gargamel. Gargamel shouts “Do not show your claws unless you intend to use them.”. The camera pulls away to the outside of the house with screams of Gargamel saying “Not the face!”.